2016 Ford Fiesta ST: Muscle & Style! 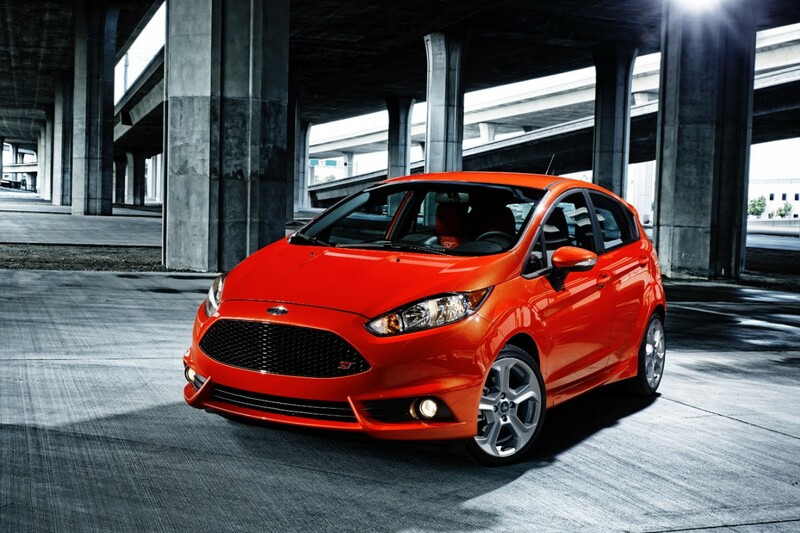 With the 2016 Ford Fiesta ST, good things do come in small packages! The 2016 Ford Fiesta ST and Ford performance take on the competitive set with muscle and style! The Ford Performance team is committed to creating the world’s leading performance experiences that are accessible to all. The 2016 Ford Fiesta ST is proof of that commitment! Fiesta ST is engineered to deliver spine-tingling performance that is refined enough for the daily commute or a night out on the town. here’s how Fiesta ST stacks up against its key competitors: the Fiat 500 Abarth, the Chevrolet Sonic RS and the MINI Cooper S.
Driver-Focused Experience: Whether on the track or around the town, the 2016 Ford Fiesta ST is all about the driver’s comfort and control. 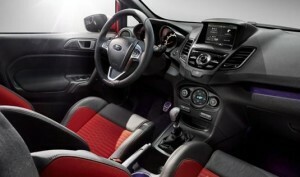 Fiesta St offers available RECARO seats. They are one of the leading names in performance seating. They are designed to hold the driver in place while taking curves. Fiat 500 Abarth offers performance-designed seats, but not from a recognized supplier like RECARO. Performance seating isn’t available on Sonic RS or MINI Cooper S. The Fiesta ST has standard asymmetric, speed-rated performance tires and performance brake pads. None of its competitors offer performance tires. The Sonic RS does not offer the confidence inspiring technology of standard three-mode AdvanceTrac nor does it have Torque Vectoring Control. Innovative Technologies: Driving enthusiasts want the convenience that high-tech features provide. The 2016 Ford Fiesta ST has Audio System by Sony with HD Radio and iTunes tagging which are two features that Fiat doesn’t have. The Fiesta ST also serves up the impressive new SYNC 3 system that features a number of enhancements including the ability to use voice commands to connect to apps. If you want to learn more about the 2016 Ford Fiesta ST stop by Beach Automotive or call us today to speak with one of our experienced salespeople! We can tell you all about the 2016 Ford Fiesta ST or any other Ford Performance model! 0 comment(s) so far on 2016 Ford Fiesta ST: Muscle & Style!